Ok not so new. But I finally managed to take a break from my beloved Simple Hydrating Cleansing Oil. I always recommend it and it really is great for taking off your make up without being harsh on your skin. It’s amazing for both a thorough and a quick cleanse and I do use it all the time but I felt like I needed to try something else. A proper cleanse and a skin prep is something I’ve been faithful to for years and cannot imagine my routine without it. These two cleansers I have used and loved before and have recently gone back to. This gel-to-oil type formula from Beauty Pie is brilliant if you want something gentle yet effective. I generally steer toward thicker and richer textures yet this cleanser does it all for me. 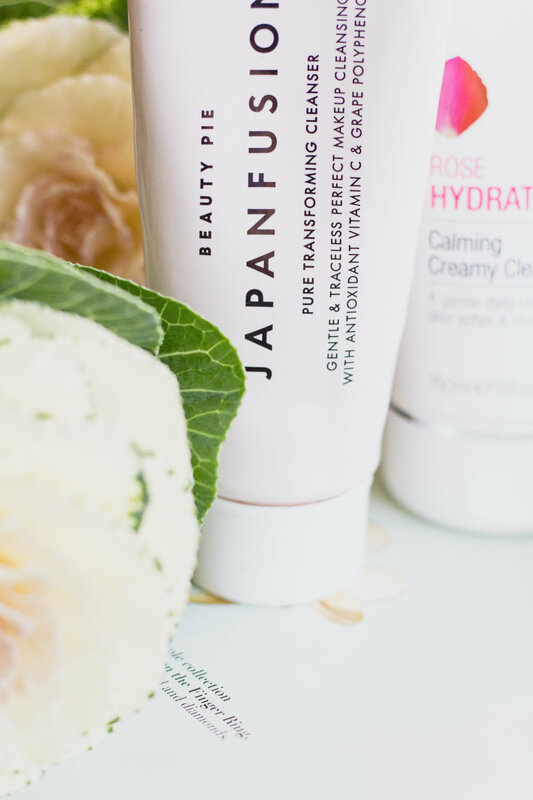 The Asian approach to skincare is becoming quite popular and the options when it comes to cleanser are much more varied than they were back in 2009 (when I discovered there’s more to cleansing that a quick face wash). What I also like about this cleanser is how due to its transforming formula it encourages you to massage it in for longer than I normally would. The whole Japanfusion range is amazing and I would highly recommend getting something if not the whole package. Love the smell of this one. It’s a lot thicker in texture than the Beauty Pie cleanser so it’s a bit different to work with. Formulated specifically for a gentle skin types this creamy cleanser leaves your face feeling softer than usual. It contains both Shea and Cocoa butter which I know maybe cause skin irritation to some. It doesn’t seem to have that effect on mine. Super Facialist is one of my favourite skin care brands. Their products are usually quite affordable and very effective. I also really like the Vitamin C Cleansing Oil from this brand, however I cannot use it over my eye area which is a shame.